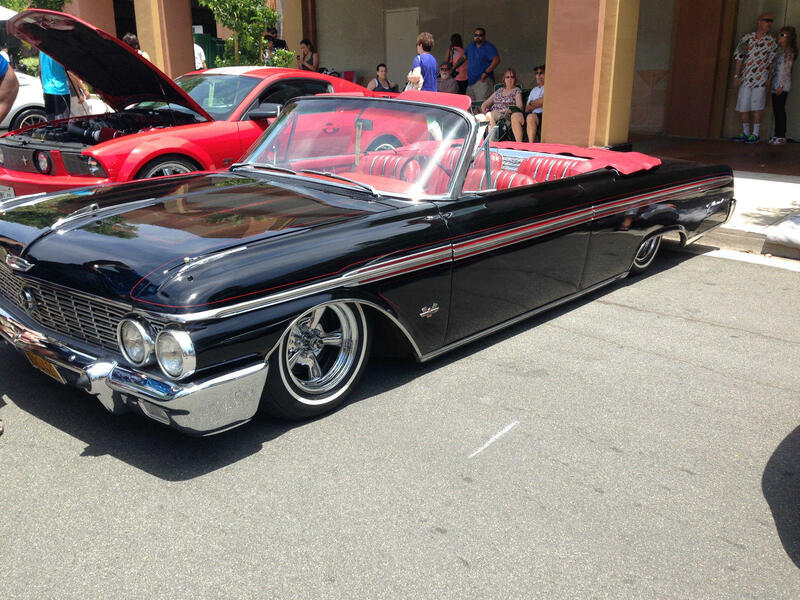 A slightly lower than stock '62 Galaxie XL looks pristine. A slightly lower than stock ’62 Galaxie XL looks pristine. Since buying my own 1962 Galaxie a few months ago, I have developed a real appreciation for them. It seems like the Chevy Impalas of the same year get most of the love. But – these ’62 Fords are really growing on me. I spotted this excellent example of a mild restored original with just a few custom touches. Everything about this build is tastefully done, and I think it looks as good as any 1962 car on the road. This car has the original big block 390, dual-range Cruise-O-Matic automatic transmission, AC, original red leather interior, and air bags all the way around.